There were 761 press releases posted in the last 24 hours and 153,526 in the last 365 days. 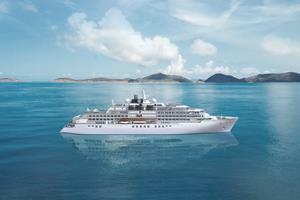 MIAMI, March 13, 2019 (GLOBE NEWSWIRE) -- Adventurous luxury travelers can now book their 2021 expeditions aboard Crystal Endeavor, as reservations open today for the polar class expedition yacht’s full year. The journeys range from 10-28 nights, sailing expeditions of true adventure, wilderness and wildlife, and deep cultural immersions in Antarctica; Japan; the Russian Far East, Aleutian Islands and Alaska; Australia/Tasmania and New Zealand; Indonesia and the Indian Ocean; Norway and the United Kingdom; Western Europe; Canary Islands and Atlantic; and South America. Crystal Endeavor’s groundbreaking itinerary through the Northeast Passage – announced last month and initially opened for bookings only to Crystal Society guests – has received significant response from travelers with just a few suites still available. /EIN News/ -- “The enthusiasm from travelers surrounding Crystal Endeavor has definitely carried over from her inaugural season. The new 2021 voyages are innovative expeditions designed to showcase some of the most legendary destinations, as well as those that reach beyond typical travel lists, and some unexpected discoveries along the way,” said Carmen Roig, Crystal’s senior vice president, marketing and sales. Crystal Endeavor will be outfitted to maximize guests’ explorations of the bio-diversity and varied terrain featured on the expeditions, offering scuba diving, Zodiac landings and aerial tours in select locales. On board, guest expedition guides, scientists and destination experts will lead interactive presentations that focus on the history, traditions and natural landscapes unique to each region. At all times, itineraries and ports of call are subject to the Captain’s discretion based on prevailing weather and ice conditions and government permits. Wildlife sightings and wilderness highlights on any itinerary cannot be guaranteed. The German-built, 20,000-GRT Crystal Endeavor will accommodate just 200 guests with elegantly casual, expansive public spaces; all-suite, butler-serviced guest rooms; Michelin-inspired dining options including Master Chef Nobu Matsuhisa’s Umi Uma & Sushi Bar; full-service Crystal Life Salon & Spa and state-of-the-art Fitness Center. Expedition-specific amenities and spaces will enhance guests’ experience, including designated “mud rooms” and helicopter lounge. The ship is being built at MV WERFTEN Shipyard in Stralsund, Germany. Fares from $9,549 per guest with up to $10,000 Book Now Savings per suite when booked by April 30, 2019. For more information and Crystal reservations, contact a travel advisor, call 888.799.2437, or visit www.crystalcruises.com. Join the hundreds of thousands who subscribe to the Crystal Insider blog, follow Crystal Cruises’ Facebook page and @crystalcruises on Twitter and Instagram, and engage in the conversation with #crystalcruises and #WhereLuxuryisPersonal.